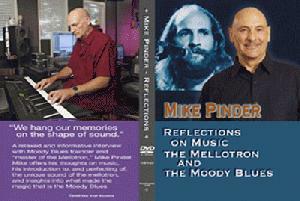 Mike Pinder Reflections On Music, The Mellotron, and the Moody Blues- ”We hang our Memories on the shape of sound.” A relaxed and informative interview with Moody Blues founder and “master of the mellotron” Mike Pinder. Interviewed by videographer Ross Mehan, Mike offers his thoughts on music, his introduction to, and perfecting of, the unique sound of the mellotron and insights into what made the magic that is the Moody Blues. Region 2 – Will only play on European Region 2 or multi-region DVD players and most computers. Filmed on location in Barbados, Las Vegas, The Bahamas, California, Monaco and the UK, is a remarkable insight into the origins and initial chart success of the group and how, in the decades since, they have developed into one of the world’s most successful rock acts ever, with record sales of over 60 million to date. We are currently OUT OF STOCK on Region 1 NTSC format. Buy this once in a life time DVD offer here and your copy will be signed and personalized by Mike! This is not a signature stamp. Simply add personalization information during check out by filling out the “PayPal Special Instructions” section. Only available to fans who purchase here. For more than 30 years The Moody Blues have been creating music that defines the Classic Rock genre. With more than 55 million albums sold worldwide including 18 Platinum albums. Recently discovered within a French film archive, The Lost Performance captures the incomparable Moody Blues at the pinnacle of their success in 1970. In this brilliant show – recorded Live at La Taverne de L’Olympia in Paris, France – Justin Hayward, John Lodge, Mike Pinder, Ray Thomas and Graeme Edge perform many of their greatest hits including “Nights In White Satin” and “Tuesday Afternoon”, from mega-selling albums such as Days of Future Passed in this mind-blowing evening of classic rock! 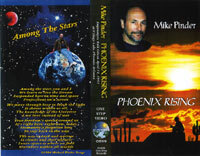 A DVD Mike Pinder fans have been asking for! This is an impromptu talk given April 14th, 1995 at Village Labs, Phoenix, Arizona. Running time approximately 1hr, this is Mike talking casually about his music and his past. Something every Mike Pinder fan has asked for. Now available on DVD! 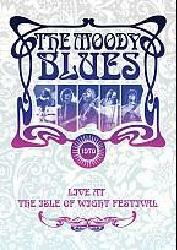 This is the legendary much talked-about 79-minute 11-song performance that The Moody Blues (at the height of their popularity and creative powers) totally entranced their hippie audience with on a hot night in August off the coast of England. Bonus material includes a 20-minute documentary keying in on the behind-the-scenes machinations that took place before, during and after this remarkable event. This historic set of Classic Rock stands complete and unexpurgated as performed by guitarist/vocalist Justin Hayward, bassist/vocalist John Lodge, vocalist/flutist Ray Thomas, drummer Graeme Edge and keyboardist/vocalist Mike Pinder. 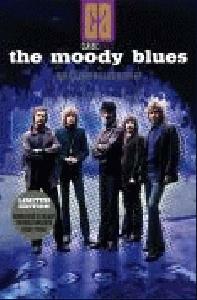 Touring in support of A Question Of Balance album, The Moody Blues, at this point in time, had had four albums all in the Top 5 U.K. (with two #1s). The audience on this night topped half a million. It was an era that will never be duplicated. At your request Mike will personalize your DVD. Please be sure to include your request during check out.